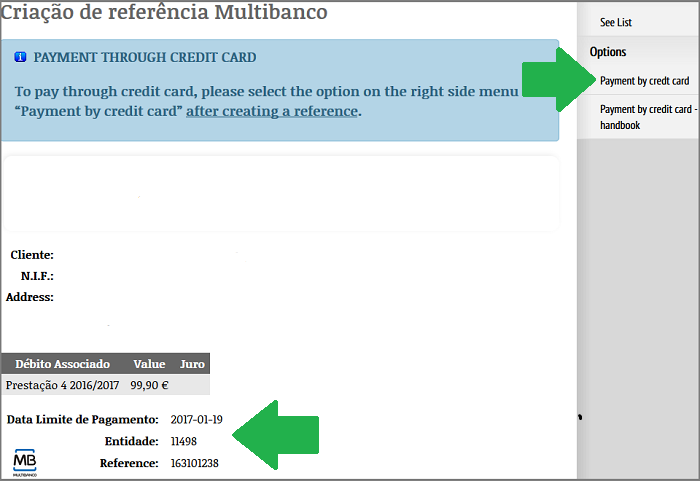 For payment by credit card, the student must first create the ATM reference through their system personal area > option on the right menu "current account". 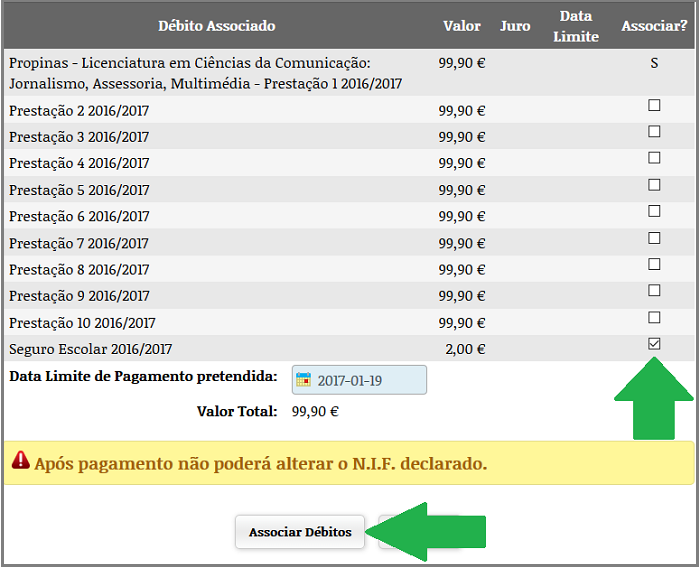 Under the tab “Despesas não saldadas” (“Unpaid expenses”), in the debt amount associated with the instalment/payment for which you wish to create the reference, click on the icon “MB”. On this step, you can associate additional payments you wish to make. School insurance must always be paid along with the first school fee instalment. Only in STEP 4 will the option to pay by credit card be activated. When you return to your current account you may no longer re-use this feature to go back to the created reference. If you encounter any difficulty, please contact Technical Support at gi@letras.up.pt. On this step, you are given the option to pay by credit card. Select the option on the right, "Payment by Credit Card”. Only on this web page will the option to pay by credit card be activated. When you return to your current account it will not be possible to re-use this feature to go back to the created reference.